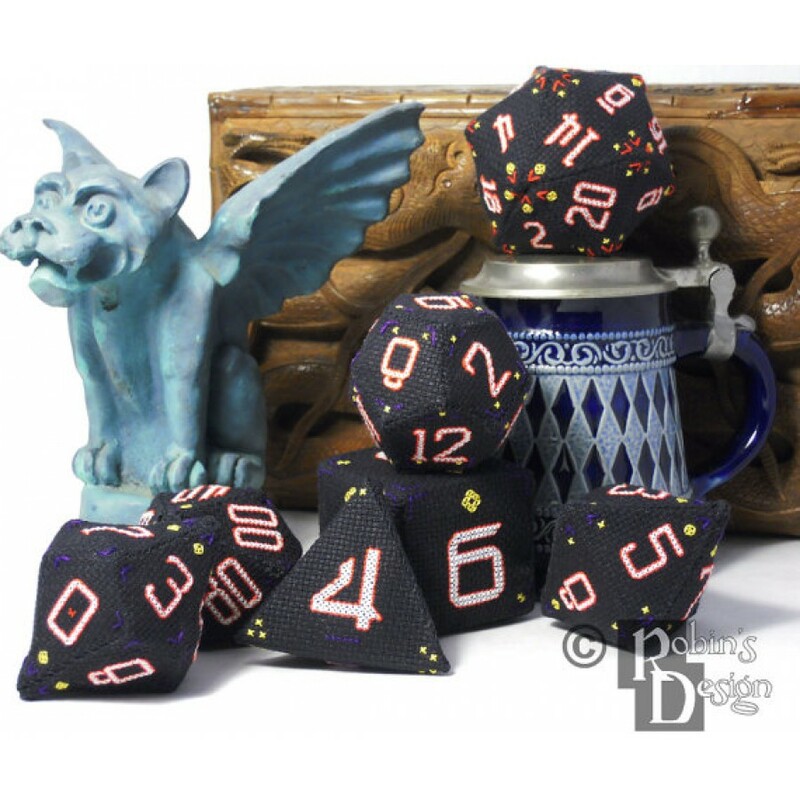 This is for the set of seven rpg dice. 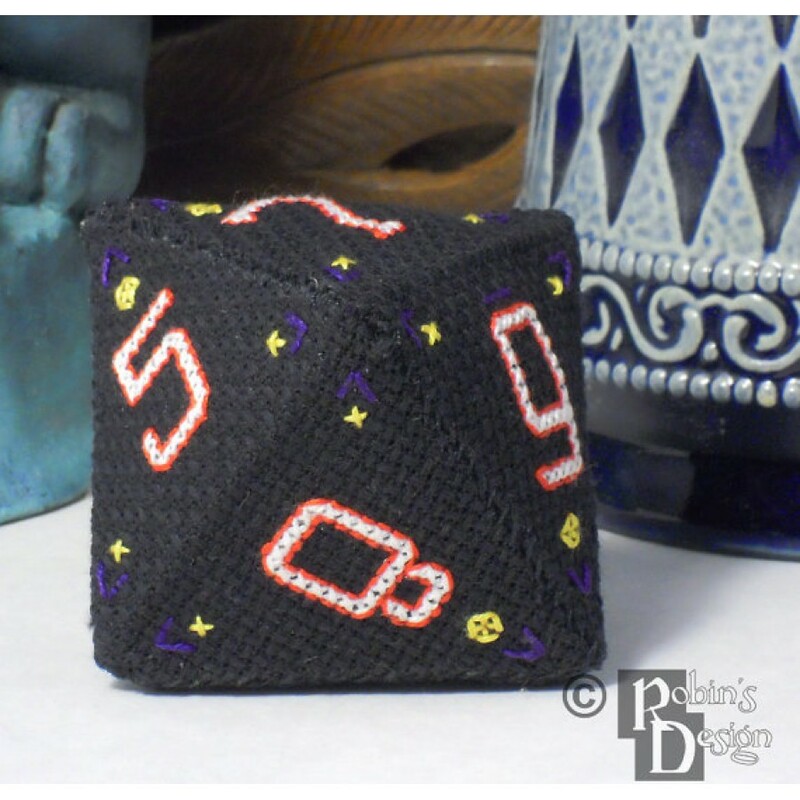 Make your own set of rpg dice or you can call them D20, D12, D10s, D8, D6 and D4. 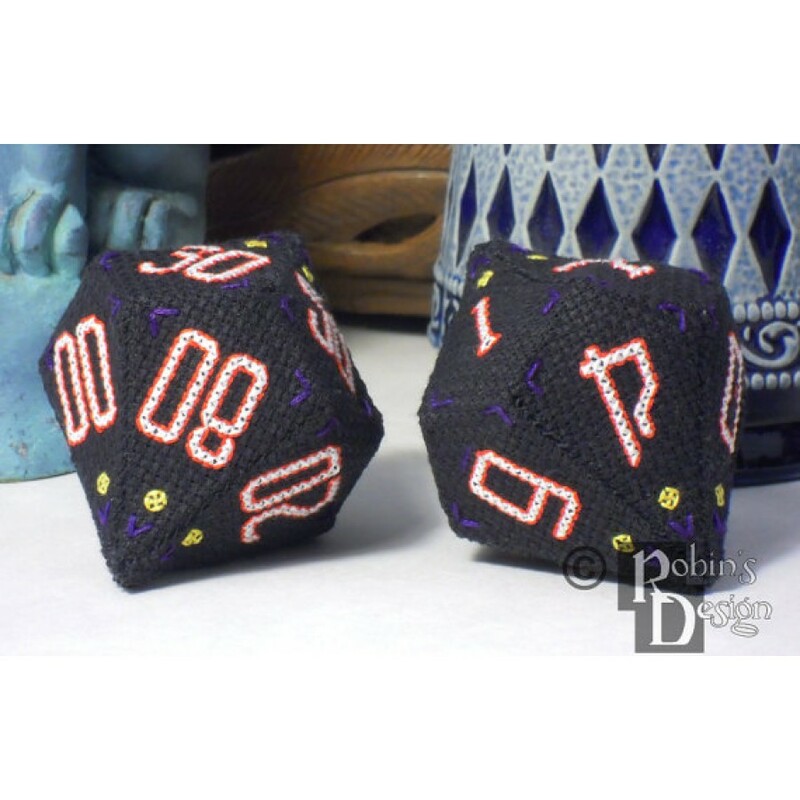 These patterns will make accurate dice with opposite sides totaling one greater than the number of sides. 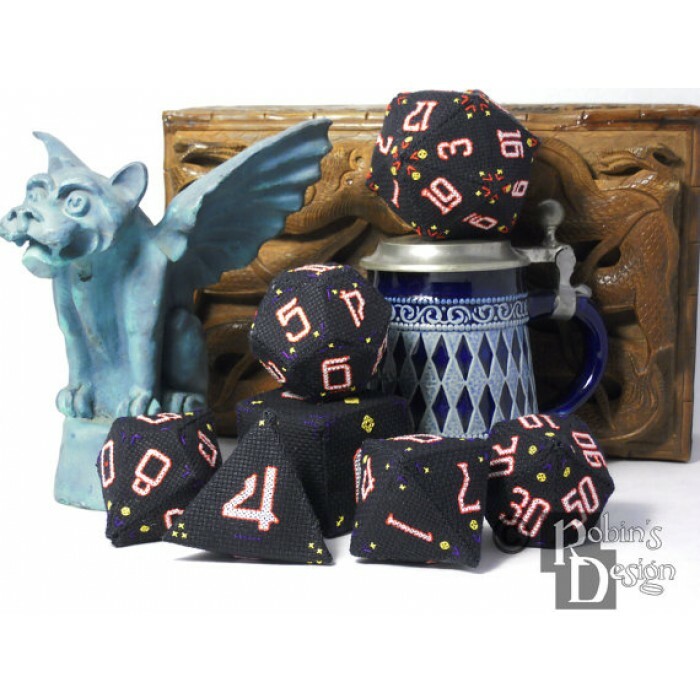 They are small enough to use for game play, or use as decorations. You save when ordering the set! It is like getting two patterns free. 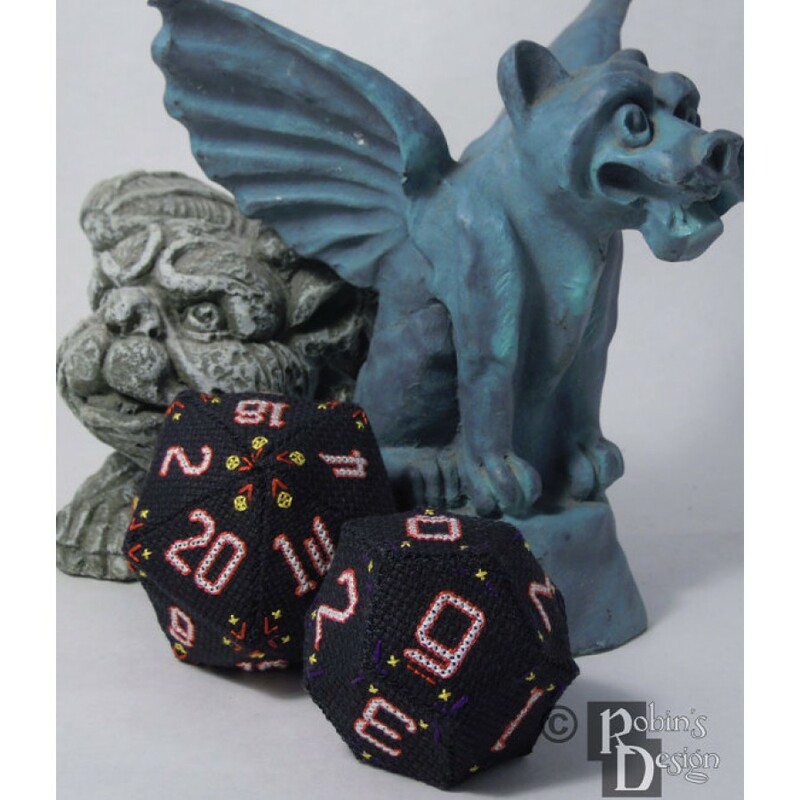 If you want to try 3D cross stitch, but want to start on something easy, these are the patterns for you! The patterns were hand designed by a professional artist/crafts person. Finished sizes are 2" when worked on 14 count fabric and are composed of 4 colors. Design contains a lot of backstitching and fractional stitches, appropriate for an intermediate stitcher. Pattern may be worked on different count fabric which will result in a different sized finished product.